Fully suspended ATC 70's these days seem to be becoming more common and common. And why not? It's great to have full suspension on these fun little things. Member Mr. Clean picked up this little 70 as a project himself. It turns out this thing has been used and abused; the way every trike should be; and now he wants to restore it to it's former glory as you see here. Check out his cool thread and drop a comment. There's pictures there! 1982 Cammex Racer Trike Found! It's not everyday a rare race machine from back in the day is found, let alone a complete survivor, so we think it's really cool that forum member Keith Salyer ended up with it after a friend bought it. This machine started life as a Honda 250R, and various modifications were performed to make it a one of a kind trike. This three wheeler was in fact competitively raced as well, so it has a mysterious history surrounding it as well. You can check out photos and drop a comment here. Do you have any really neat trike related toys you'd like to share or give to your kids? There's all sorts of really cool stuff out there, much like this Santa. We'd love to see what you've got! Share your stuff, leave comments and view what others have that make you jealous here. Three wheelers have been subject to ignorance and hate for a very long time, and after the infamous Consent Decree in the late '80's, three wheeler production ceased. However, we take a look back into a few special models that never seemed to have rolled off the showroom floor...or did they? Join us as the hunt continues, indulge in the legend and grab a beer while you're at it. This upcoming March will be quite a month. With both the Imperial Invasion and a full week long tribute to trikes taking place, you won't want to miss out on these events. Click "read more" for the full article. Glamis, 1985. Were you there? This cool, 42 minute home video from back in the day should take you back like you are still there. Grab a cold one, sit down and watch this really cool video and get nostalgic. We're back with another special feature you'll only find here on 3 WHeeLeR WoRLD. 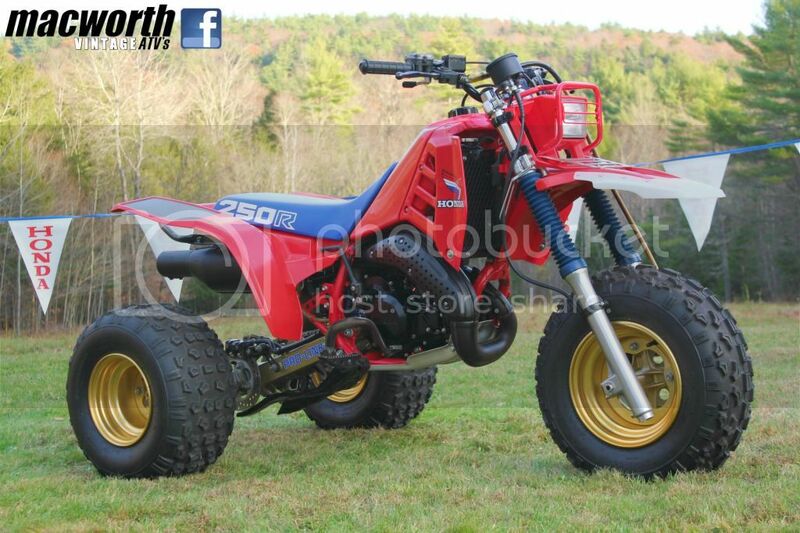 Last month, we showed you a really special '86 Honda 350X that was for all purposes "brand new". This time, while the bike has been used, it has a cool history behind it that we think you guys just might like.